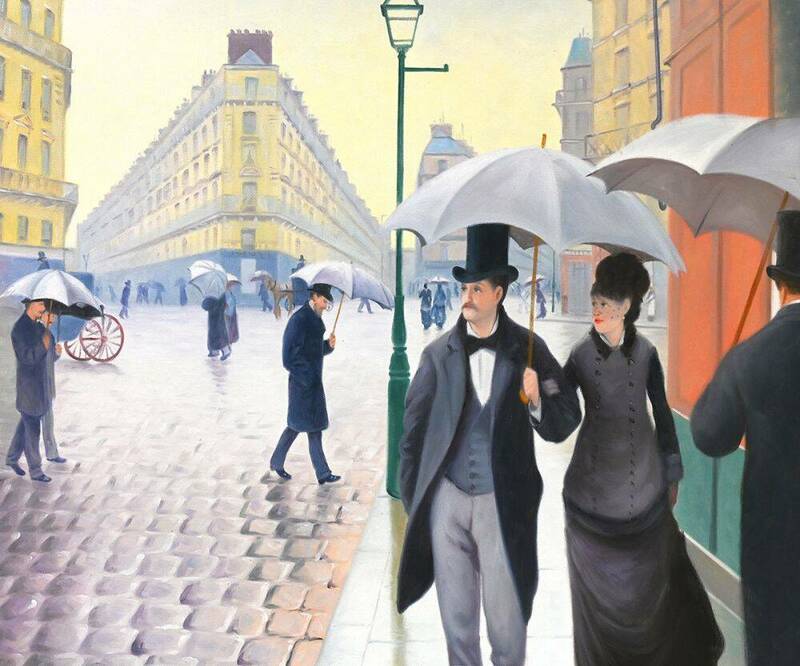 One of the most remarkable paintings from the 19th century was created by the French artist Gustave Caillebotte. "A Paris Street, Rainy Day" was originally painted in 1877 and is indicative of its place in history. At the time, photography was beginning to develop as an art form. 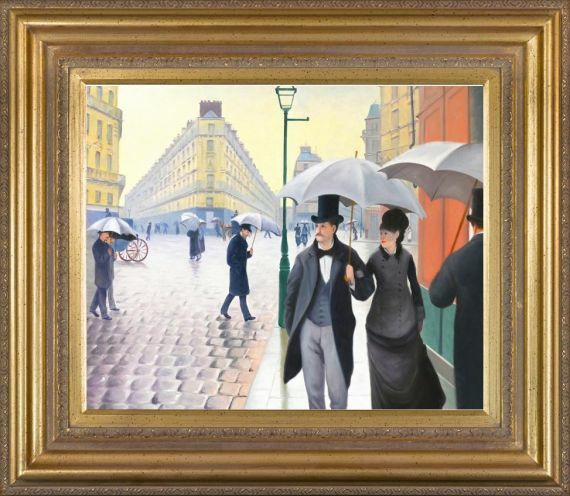 Caillebotte was fascinated by this new medium, and his interest in it shows clearly in this snapshot of a rainy day in Paris. 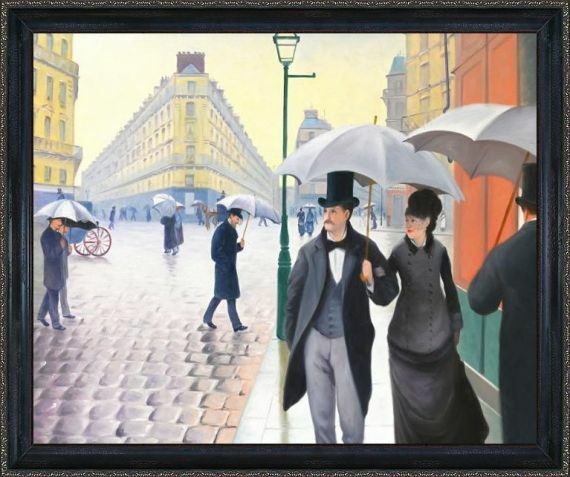 Certain features of the painting, including the cropping of the figures and the way the image is sharpest on the subjects in the middle ground, mimic a photograph. 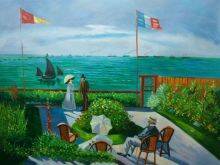 It's considered an iconic work of art from the Impressionist period, though the use of highly linear shapes makes it somewhat unique among other Impressionist paintings. 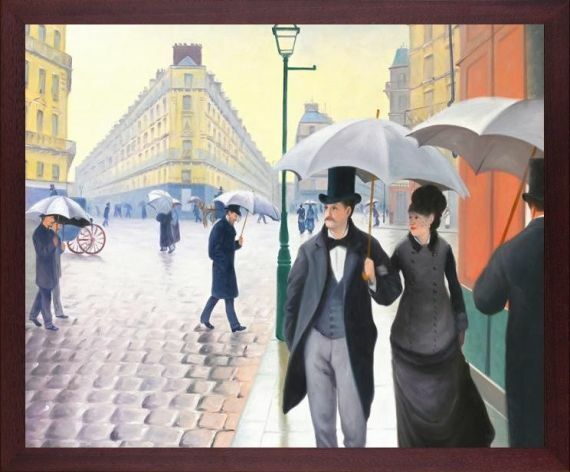 This famous rainy day painting by Gustave Caillebotte would make an excellent addition to any home. 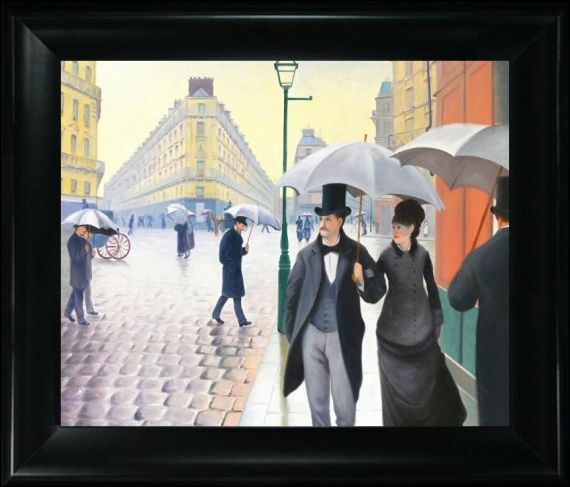 Get a stunning reproduction of "A Paris Street, Rainy Day" on canvas from overstockArt.